What is the one piece of clothing in your wardrobe that can be worn for practically any occasion? It&apos;s the little black dress, of course! And that&apos;s exactly why we&apos;re going to talk about how to accessorize a little black dress for the holidays. 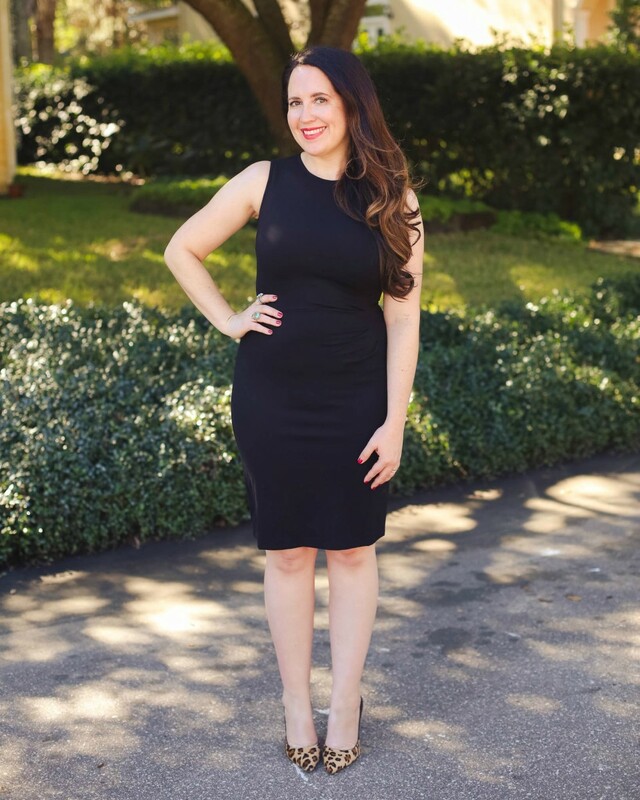 Because you just might not have to buy any new party dresses if you accessorize your oh-so versatile little black dress a few different ways depending on the occasion at hand. 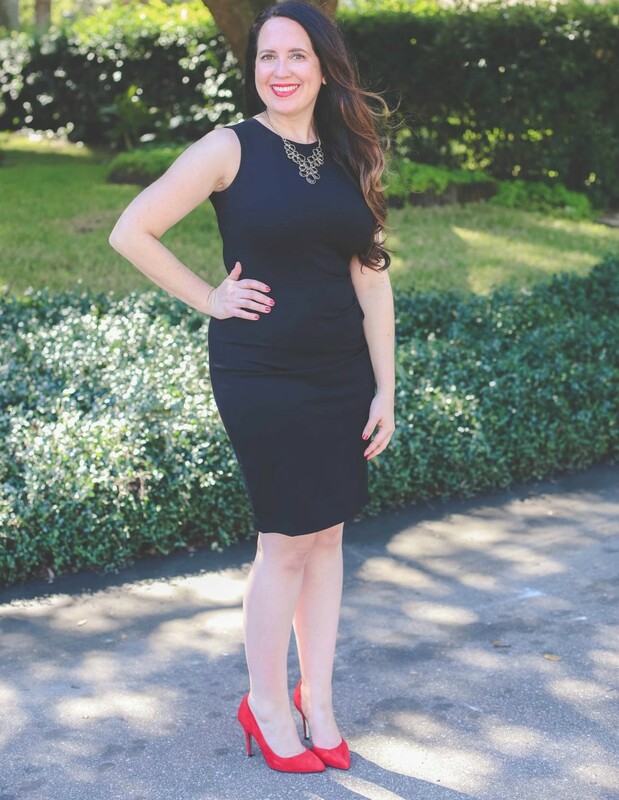 There is no shortage of ways you can accessorize a little black dress, but I&apos;m going to show you two today. One is a bit edgy and one a touch more glam, but they&apos;re both fun ways to add some pizazz to your LBD! And if you if you feel like it&apos;s time to upgrade your little black dress, never fear. I&apos;m going to link to one of my current faves! First up, let&apos;s talk animal prints shall we? Much like the little black dress, animal print heels are always a mainstay in my wardrobe. They kick an LBD look up a notch in no time flat. And one of my fave ways to accessorize a little black dress includes pairing one with animal print heels and turquoise jewelry. 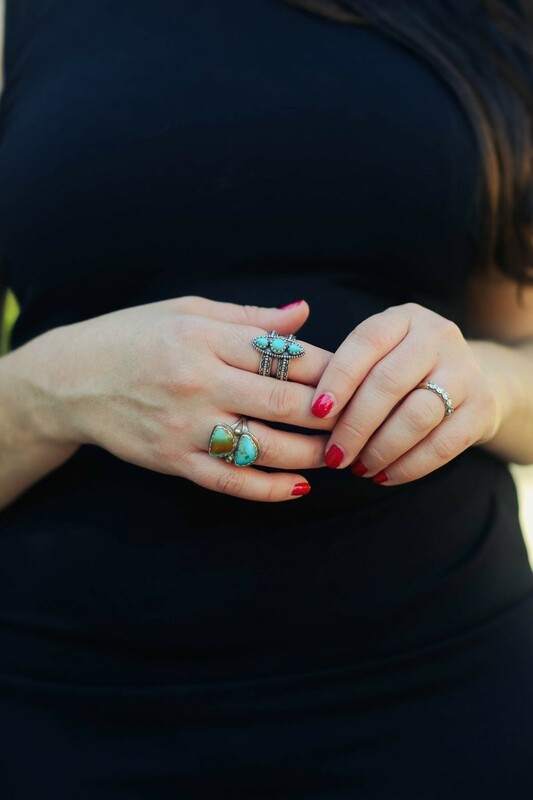 My turquoise ring collection is among my most prized possessions and with good reason. 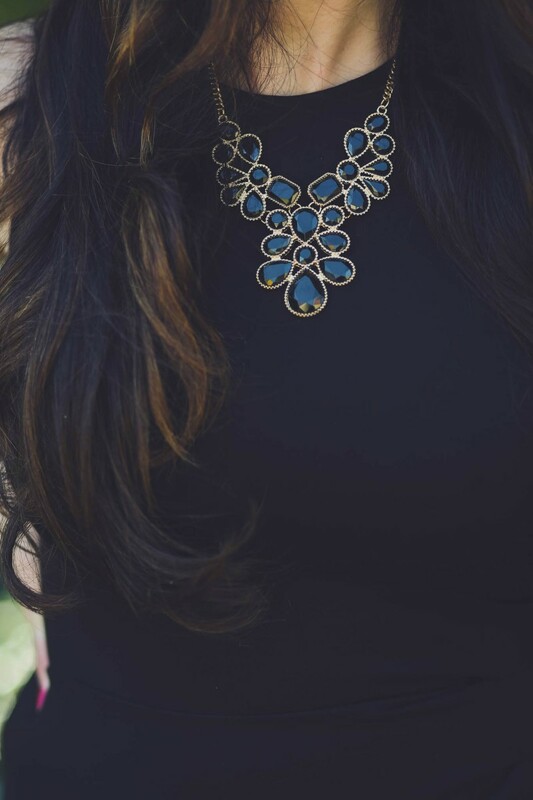 Just like a little black dress, a turquoise ring goes with SO much. Add a bold red lippy or a festive mani to the equation and you have an edgy, holiday-ready party look! It really is that simple. Next up, it&apos;s time to make a statement. I know you have a nice statement necklace in your closet somewhere. Throw that bad boy on with a fun pair of red heels and you have another insta holiday party outfit! Hey, I&apos;m a way-too busy mom this time of year. I know you can relate. This girl needs to have holiday outfits on hand that don&apos;t require much, in a word, thinking. Bwah! And it doesn&apos;t take any time, or thought, at all to style a LBD as long as you have the right accessories. So, add statement jewelry and red heels to your shopping list if you don&apos;t already have them. Remember, we&apos;re here to help you take the stress out of putting together your holiday looks this season. The only thing you need to be worrying about is who&apos;s going to pour you a glass of champs. Just sayin&apos;. And for more holiday fun, check out our tips for how to make guests feel welcome during the holidays!